Intelligent lighting is type of stage lighting that usually have more mechanical and automated features than traditional stationary stage equipment. Features range from simple dimmers, to sophisticated moving heads that can project animated gobos. 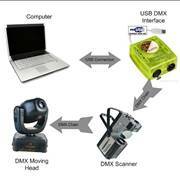 DMX Lighting is type of modern intelligent lighting. 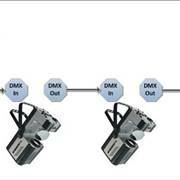 DMX fixtures are controlled with DMX Lighting consoles. 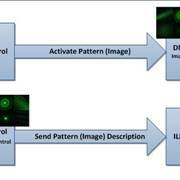 DMX console and DMX fixtures communicate with standardized DMX 512 Protocol. Descriptions and brief reviews of commonly used DMX Consoles (DMX Controllers).